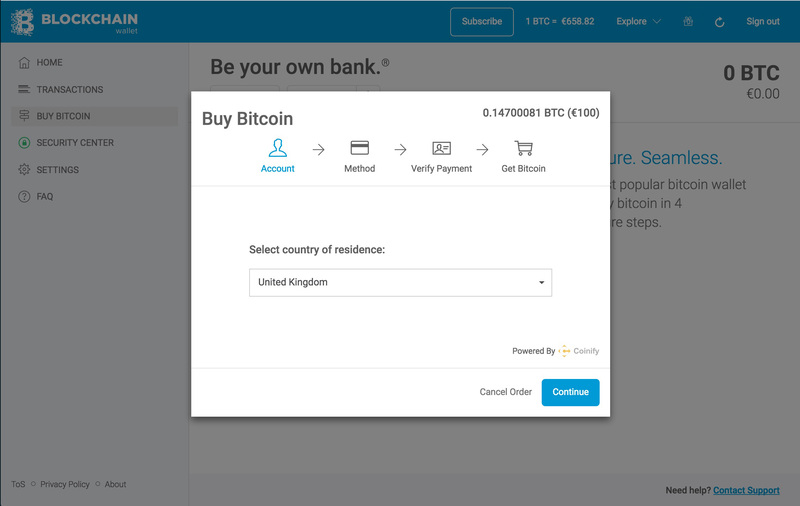 Step by step instructions for how to purchase Bitcoin in Europe. Blockchain.info is one of the longest running, and most trusted go-to bitcoin wallets in the world. With over 10 million user wallets and counting — they’ve become a staple to the bitcoin community; a platform used by people all over the globe – just like Purse. 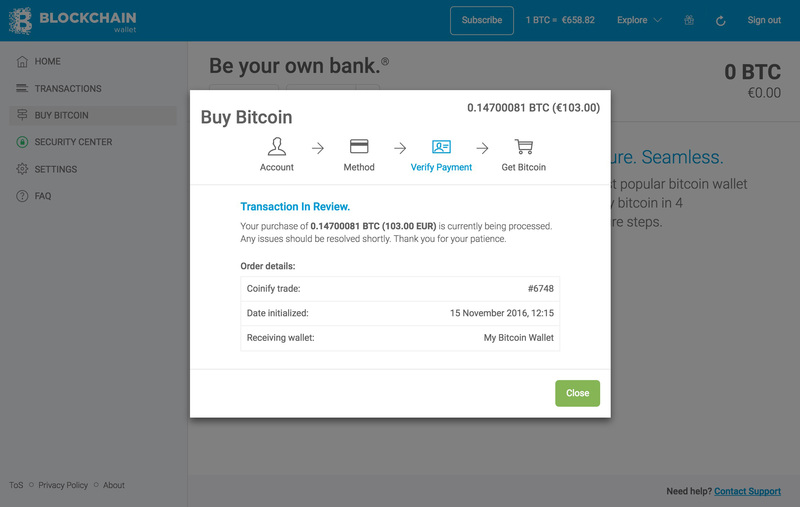 You can now purchase Bitcoin directly via Blockchain.info (Europe only, currently). To get started, first you’ll need to sign-up for an account. After verifying your account and logging in, you’ll be directed to the dashboard. 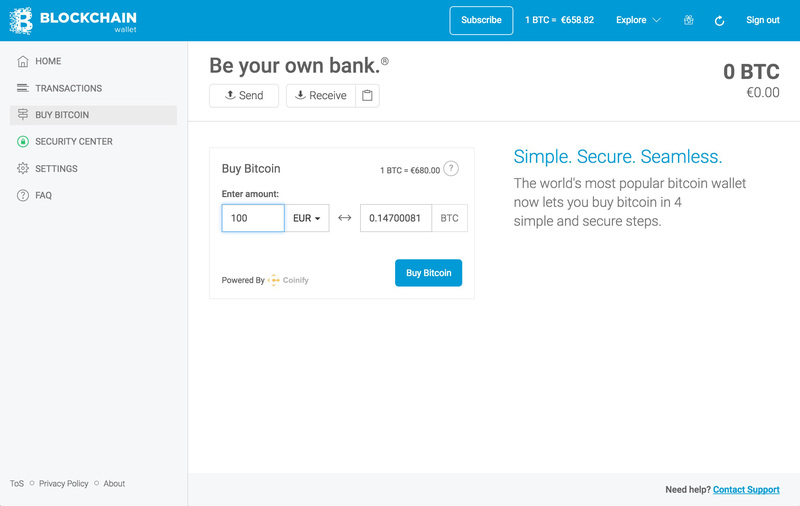 Blockchain currently offer users in the UK/EU the option of buying Bitcoin within their Blockchain wallet through their partner Coinify. If this service is available in your area you will see the Buy Bitcoin option within your wallet. 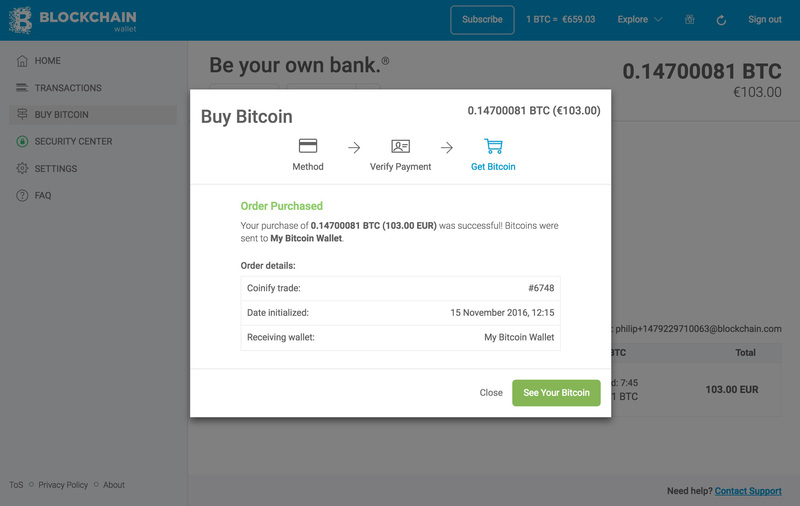 Click on Buy Bitcoin and then enter the amount of EUR you would like to spend. Note that the current price per bitcoin will be displayed, along with the amount of bitcoin you would receive for the amount of euros you spend. Click Buy Bitcoin to continue. Choose your country and select Continue. Select your preferred payment method and then press Continue to initiate your order. Once your order is submitted the transaction will be In Review. The exact length of time a transaction takes to complete varies by amount, country and payment option. That’s everything. From there, your Bitcoin purchase is complete and the funds are then automatically sent directly to your Blockchain wallet. Then, in order to spend your funds on Purse, simply deposit them into your Purse wallet.